And 114 rapid-fire questions with one of the developers. I chuckled when he asked about whether or not there would be catching balloons mini game lol. Also funny that guy asked if the "Raven Corporation" is on the game, while it's from another of their games, the comics have that "Raven Society", but they're Anya's villains lol. Shame it's an exclusive, or I'd buy it after a sale or two. Not really as hyped about this as a lot of people seem to be though, as the combat looked very bland and the web-swinging nothing to write home about. Ah, so the game can finaly be pre-ordered, that took long enough lol. A pre-order is a spider-bot. My money is on at least one of the Superior Spider-man costumes. Norman really has his Willem Dafoe going on here (or Robert Redford). That Shocker looks . . . shockingly intimidating. His mask reminds me of MCU Vulture's helmet. 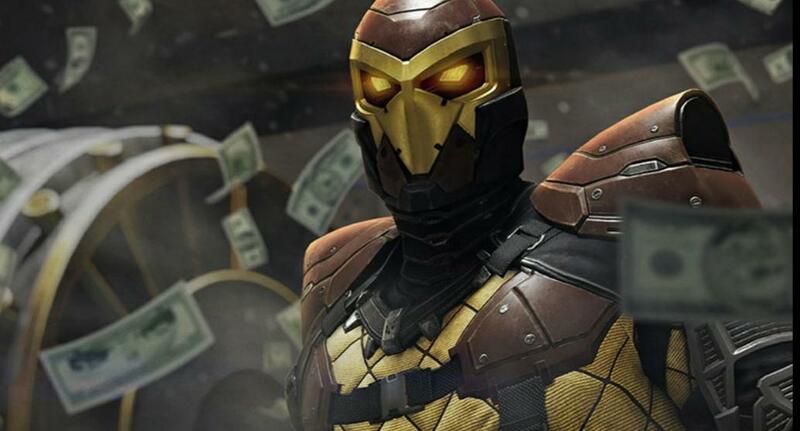 I'd really like if there was some option to swap villain costumes too, 'cause I kinda prefer classic Shocker, the goofy looking design just works. This may be the first Spider-man game I'll really enjoy playing since Ultimate Spider-man. 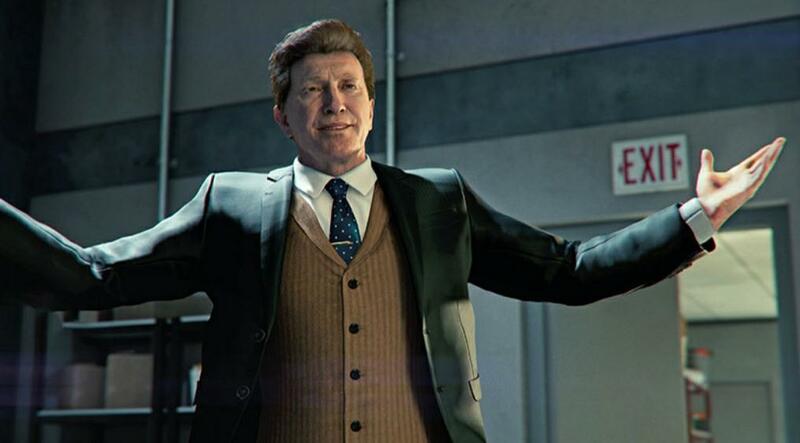 And Yuri Lowenthal is playing Spider-Man, in case nobody had figured that out by now . Assuming Spider-man is still something of a veteran in this continuity I kind of like the shocker's look here. It's not a classic, but it makes sense. Spider-man's strength is your first big problem in fighting him and Shocker is just a normal guy. It makes complete sense his outfit is a bit armored especially if he's been active for awhile as police and Spider-man become more accustomed to him. I kind of hope that's the case. Spider-man boss-fights are generally pretty straightforward so long as you know the character, and Spider-man games have been around for decades. Maybe pulling a fast one like adding armor to Shocker might be useful in prolonging a boss-fight which would affect how things interact around you. Like going for civilians or taking your time with the villain. It would add some replayability if it altered how you confronted certain characters. Well, he's been Spider-Man for 8 years in this continuity, so he's just 5 years younger than 616 Peter. I kind of like the shocker's look here. It's not a classic, but it makes sense. Spider-man's strength is your first big problem in fighting him and Shocker is just a normal guy. It makes complete sense his outfit is a bit armored especially if he's been active for awhile as police and Spider-man become more accustomed to him. Not sure about how his suit works currently, but older comics mentioned that he could use the vibration of his suit to tone down the damage he could take by a lot, to the point he sometimes barely felt Spidey's punches, he was bullet proof because of that as well, so basicaly it's a worse vibranium, so it's not like his original costume was just a goofy costume.